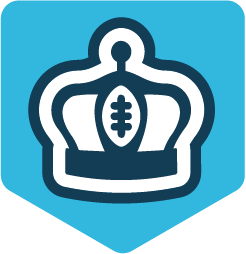 SafeLeagues is a commissioner service that runs competitive empire, dynasty, and redraft leagues. All money is kept securely on LeagueSafe and played on MyFantasyLeague. These leagues are run by Scott Fish, creator of the famous fantasy industry league the ScottFishBowl and host of the Commission Impossible podcast. They will be co-commished by Ryan McDowell. He also hosts the Commission Impossible podcast, Hosts Dynasty Blueprint, is a senior partner at dynasty league football and many of the today's fun dynasty rules came from his innovativer brain. They are widely regarded as the top commissioners in the industry and known for their innovation. Brought to you in partnership with the best Dynasty League Football site on the planet! Once you pay, you will receive an invite to the MFL league host. This is usually pretty quick, but could take up to 12 hours. MAKE SURE YOUR LOCATION IS ON AND NOT BEING BLOCKED BY YOUR BROWSER WHEN PAYING! * if a league fills after 7PM it will not start the following morning at 10am EST, but 24 hours after that. If for some reason an owner can't get logged in, the draft may be delayed to get them in or find a replacement. The link below will open a google doc with all our orphans. Email us using the email on the top of the tab of the orphan you want and let them know which orphan you are looking to purchase. We will provide a link to pay and you will have 24 hours to pay. The orphan will stay on the doc as available until it is paid for. Due to this being a manual process, some orphans on this page may have already been sold and the page hasn't been updated yet. There also may be a waiting list for some orphans as they are likely to get more than one person inquiring about them. We also just acquired Quest Fantasy Leagues. There are many dynasty and keeper orphans including devy and salary cap leagues. I will have all Quest and SafeLeagues orphans in this doc going forward! 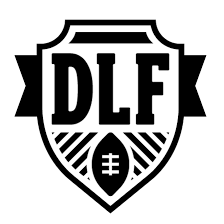 For new leagues: Leagues schedules, draft orders, and divisions if applicable will be randomized once the league is full. There is a $6.95 regulatory fee for SafeLeagues to help pay for the regulation and licensing fees that now exist in many states. SafeLeagues pays for licensing and registration in nearly all states that have one and allow fantasy sports to be played. Due to this, there are only 6 states where fantasy sports are banned: Arizona, Delaware, Iowa, Louisiana, Vermont, Montana, or Washington. We are legal in all other states and Canada. Unfortunately SafeLeagues isn't legal outside of US/Canada.